"Zee Institute of Creative Art, with its state-of-the-art infrastructure, gives practical training in 2D Animation, 3D Animation, Visual Effects & Gaming, covering the stages of visualization, Pre-production, production and post-production. At ZICA, a lot of emphasis is laid on the principles of art and design and fundamentals of classical animation, while extracting the same knowledge to computer based Digital animation. Students are also assured of creative exposure with a healthy mix of theory and practical sessions, delivered with the right amalgamation of Art & technology, under the supervision of in-house experienced faculties and industry experts from India and abroad. At ZICA, we are proud to have a glorious past of placing our students in well known Animation houses and studios. The success story of ZICA is bestowed on the success of its gifted students. 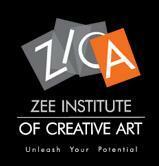 Zee Institute of Creative Art, Pune conducts classes in 3D Studio Max, Adobe Illustrator and Adobe Photoshop Training. It is located in Karve Road Deccan, Pune. It takes Regular Classes- at the Institute.